Los Angeles, California August 4, 2016— Foreclosures in Los Angeles, California are still occurring more frequently than analysts predicted. When a borrower is looking for ways to stop foreclosure, taking legal action is usually the most effective method to stop the lender from selling the house. Many homeowners in California are still struggling to make their mortgage payments. After receiving a notice of trustee sale, there are two ways in which a foreclosure attorney can prevent the sale of the home. The first way to stop a foreclosure sale is through bankruptcy. Bankruptcy automatically stops the trustee sale until the court resolves the matter. Another way to stop a foreclosure is by filing a lawsuit against the lender. This will usually postpone the trustee sale and prevent the lender from selling, provided that the court issues an order to that effect. There are other ways to stop foreclosure, however the legal process is the most secure way to prevent a foreclosure sale. Another option to stop foreclosure is to apply for a modification prior to hiring a lawyer. Under California laws, a lender is not able to move forward with foreclosure while a borrower is in the process of modifying their loan. Another effective way to stop the foreclosure process is requesting a short sale. This is where the foreclosure lawyer agrees with the lender to sell the house for less than the amount owed. Similarly, a deed in lieu can allow the borrower to walk away when the lender agrees with the borrower to forgive any outstanding balance and arrears in exchange for leaving the house in good condition. When a homeowner receives a notice of default or notice of trustee sale, it’s best to obtain foreclosure legal advice from a foreclosure defense attorney with a strong track record. It is really important that the homeowner hires a qualified foreclosure defense attorney with a solid track record to save the home. A good lawyer can make the difference between a win or a loss in cases that go to court. A foreclosure defense lawyer with experience in foreclosure proceedings will be able to identify the strengths of a case and knows how best to meet the goals of the homeowner. 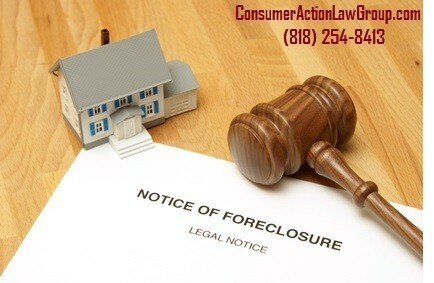 Adequate foreclosure legal advice helps borrowers determine whether to use the legal process not to save their home. Hiring an experienced foreclosure attorney with a strong track record in foreclosure litigation is a homeowner’s best chance for keeping the house.